To cater to diverse drilling requirements of varied industries, we, at Siddhapura Enterprise are engaged in offering precision-made Milling Drilling Machine. The Milling Drilling Machine, we offer, is made up of high-grade parts and therefore has a high functional life with excellent efficiency. 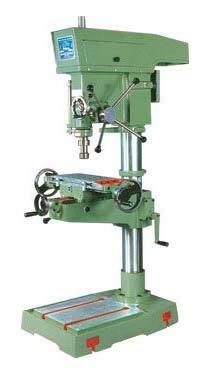 We offer the Milling Drilling Machine in the market at very competitive price.